The arctic circle is fun to fly over. I’ve never flown over a major latitude or longitude line before (embarrassingly, I’ve not yet crossed the equator or the prime meridian). They don’t announce it on the flight, so you don’t know exactly when you’ve crossed it, but when you look out the window and watch the faint afternoon sunlight slowly fade and the sky turn colors you’ve never seen before, and the mountainous, snow-covered treeless terrain slowly passes by underneath you – it’s easy to see you’re in the arctic. 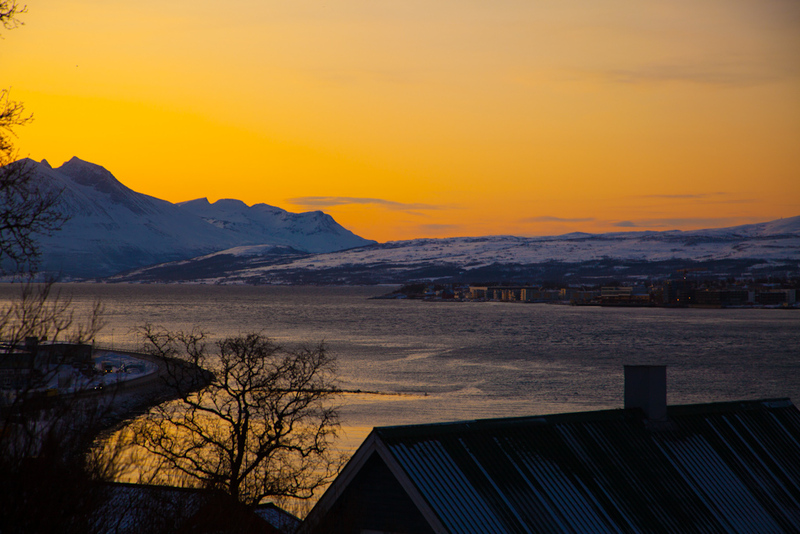 My host Trond told me that the sun just started coming above the horizon again last week. 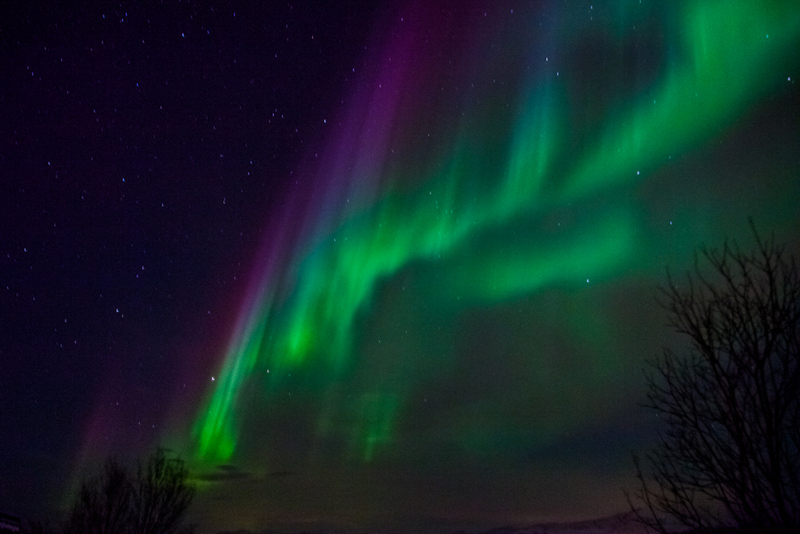 Before that it was just the glow from the sun below the horizon that lit the sky for a few hours each day. 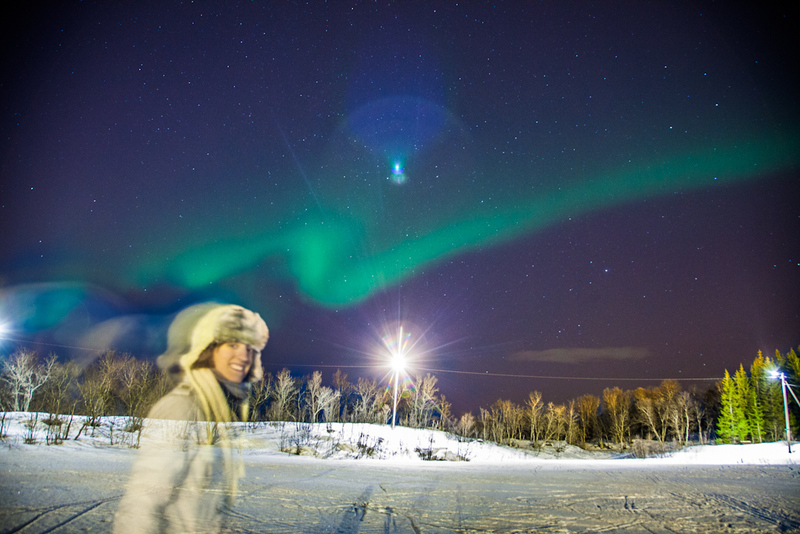 This time of year is perfect for hunting the elusive northern lights — which I came up here to catch a greatly desired glimpse of! 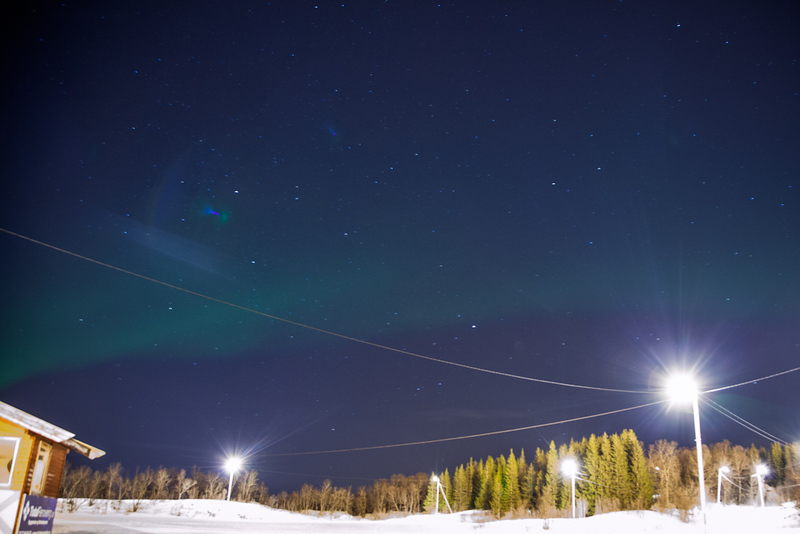 It’s dark for most of the day – optimum conditions for viewing the lights – which just like stars, you need the least amount of light possible to see. No sunlight, moonlight, or light pollution. 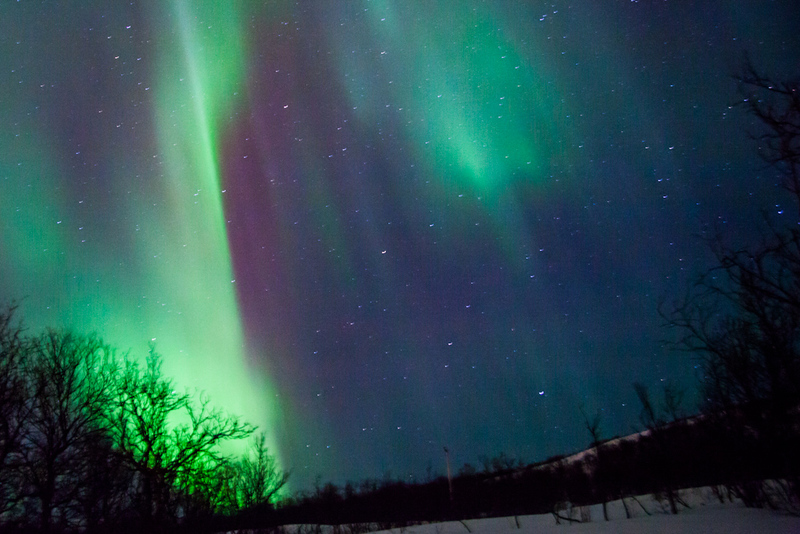 Which also means going outside the city, at night, in the arctic, in winter. And waiting, sometimes all night. 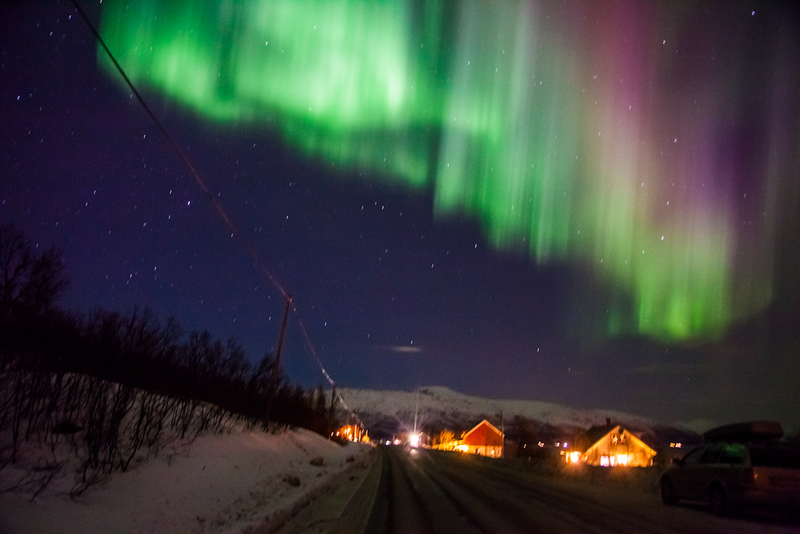 Tromsø is the northernmost city in the world with a population over 50,000. 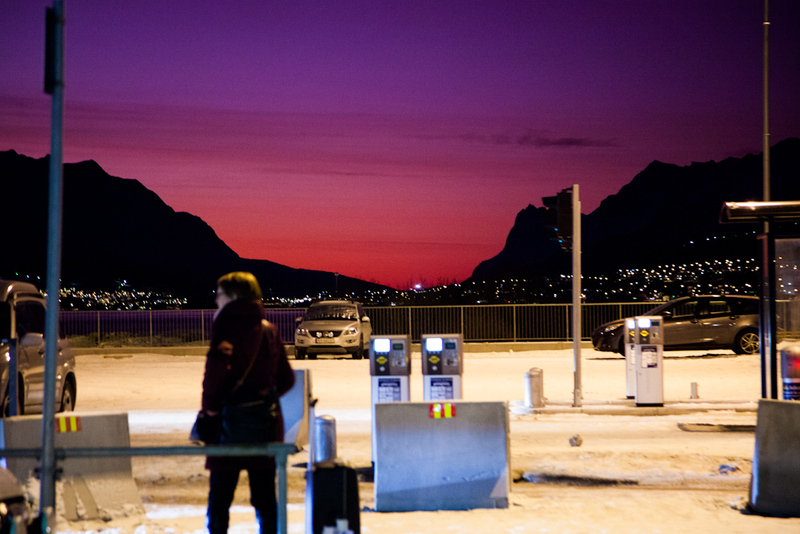 There are many small villages and outposts north of Tromsø, but none are proper cities. 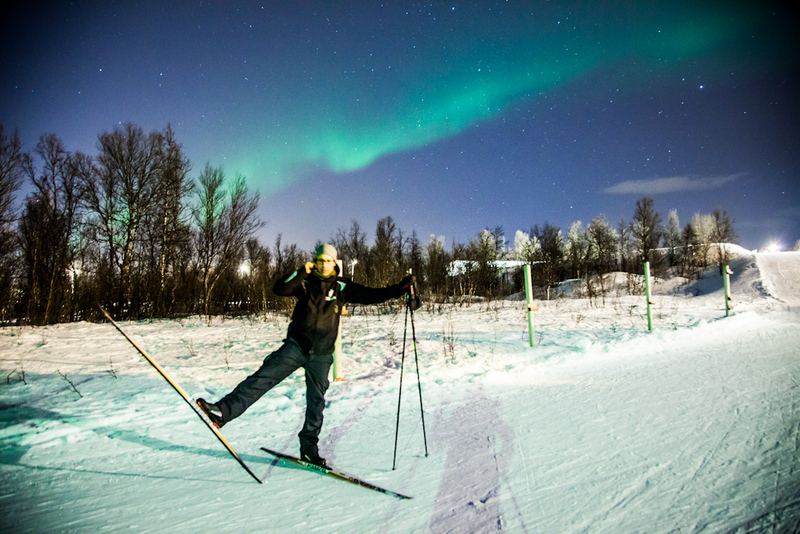 It’s known as the best accessible place in the world to see the aurora borealis due to their very high frequency here from January – March. 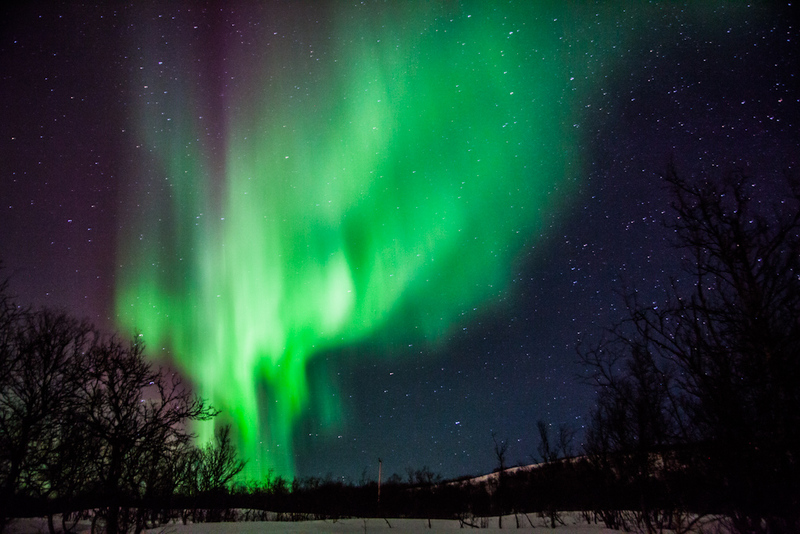 They have a few tour companies in town that offer a northern lights experience where you chase the clear sky and reports of lights all around Norway and even into Sweden and Finland if necessary. 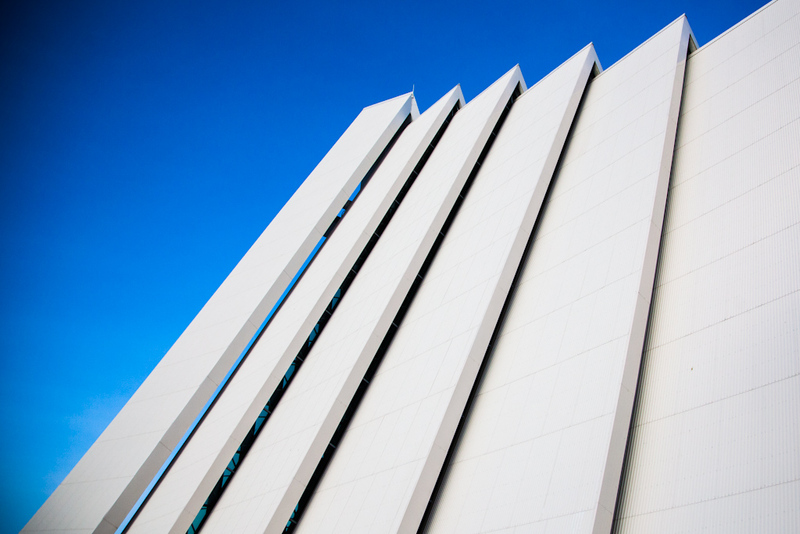 I didn’t feel like being on a bus of tourists, competing for the best place to place my tripod and helping people with their cameras – so I opted to skip the tour and instead stay with a local who knew the best places to go to see them. 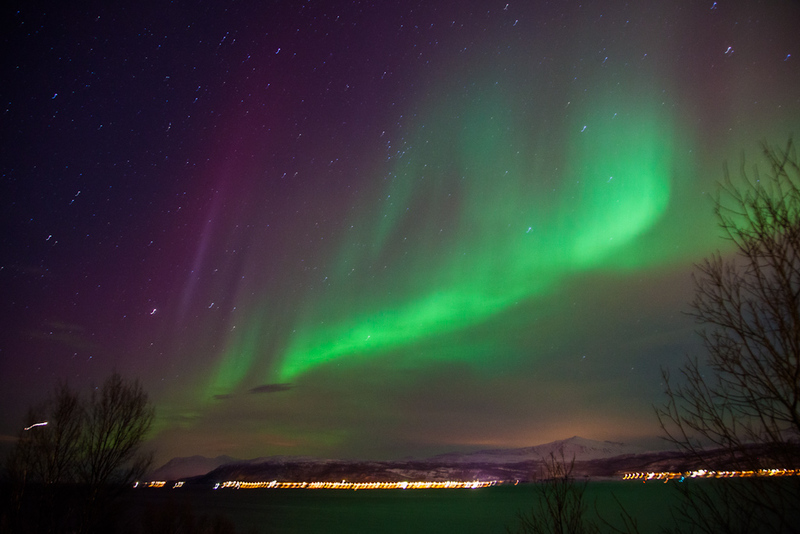 My second day in Tromsø started out with me taking 2 naps during the day – not because I was trying to save energy for a midnight Northern Lights excursion, but because I think my body is very confused by the short daylight cycle here. I did do a tiny bit of exploring when I wasn’t sleeping though. 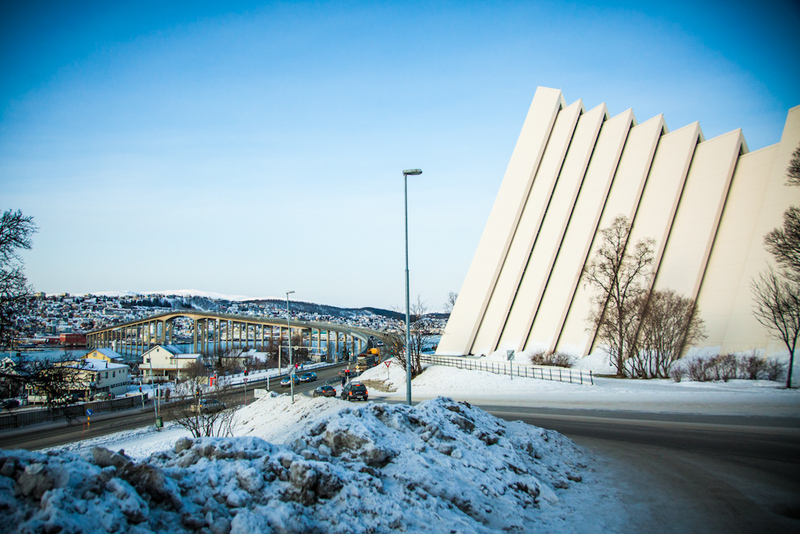 I took a walk to the “Arctic Cathedral” a really cool church that is one of the most popular sites to see in Tromsø besides the lights. 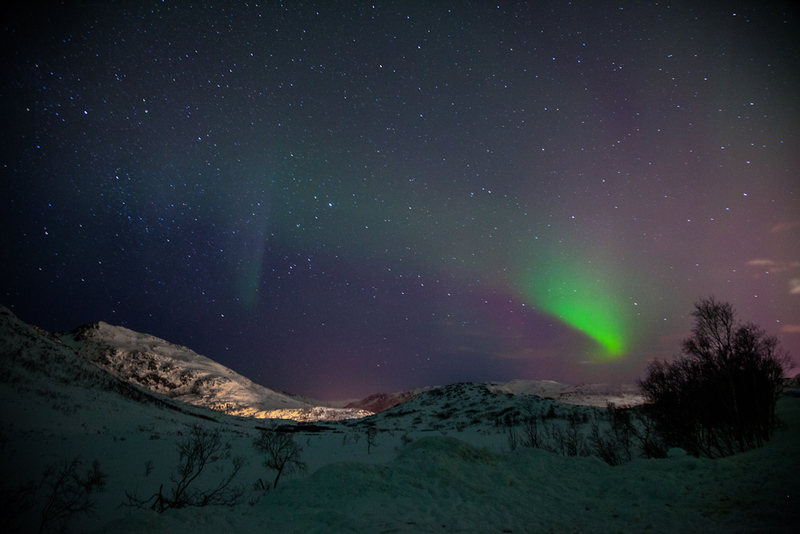 When my host Trond got home from work around 8 we decided to go out for a drink and some food and then go out to see the lights, since he said 8 was a little early to see them. We went to this amazing bar/restaurant called Blå Rock and a Manchester U vs Cardiff game was on. Thankfully my host didn’t care about the game, so we sat in a quieter part of the restaurant talking about life and lots of fun things whilst eating ‘chips’ and drinking non-alcoholic weissbier. Non-alcoholic beer is big in Norway (or “driving” beer, as they call it) because the BAC limit for driving is .02 – so basically you’re not even safe having 1 drink before you drive. 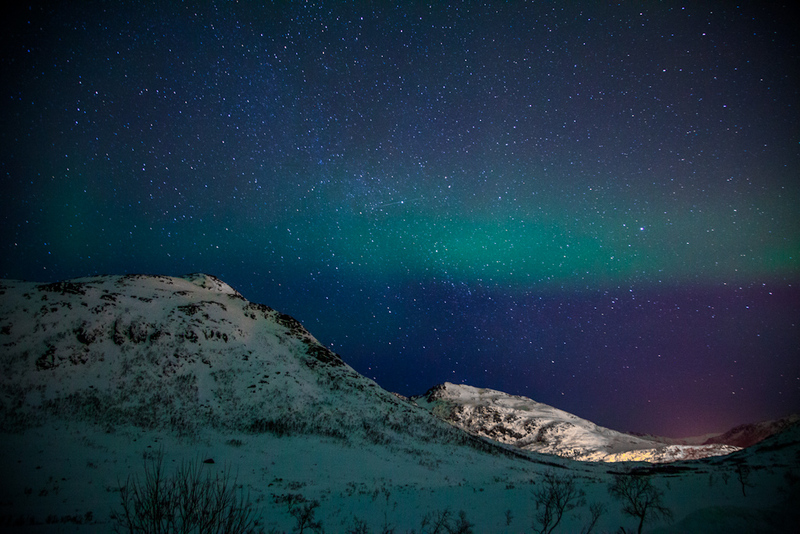 After some fun hangs, it was time to venture off into the dark, moonless, clear Norwegian night! We were about 20 minutes outside the city and there were still lots of city lights across the water (we were driving on an island across from the mainland) so it wasn’t completely dark yet, but every minute or so I glanced out the window at the sky, just in case. My 20th or so time quickly glancing, I saw a faint, strange cloud – and at first my brain didn’t process what I was seeing – then I remembered that clouds aren’t greenish and I turned to Trond and said – “I think I see the lights – they are really faint , but clouds aren’t green and don’t move that way…” He pulled over, leaned across me and looked out my window and said “yes!! 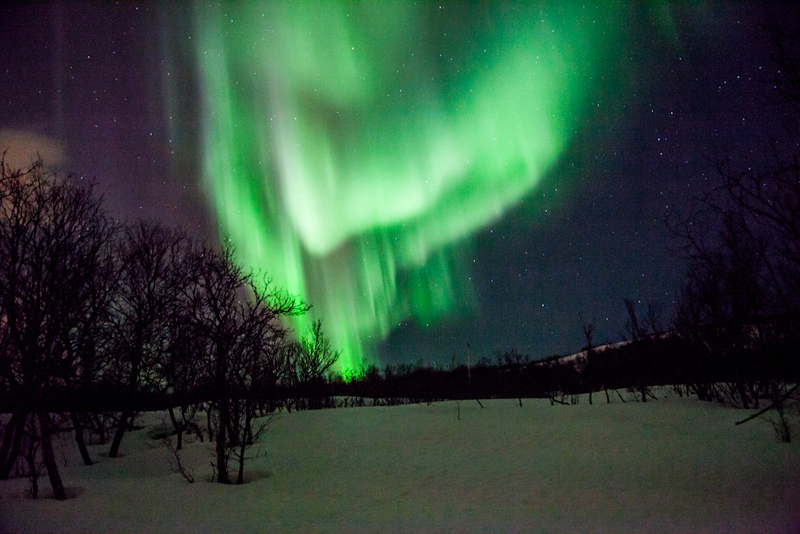 those are the lights!” we drove on a little ways to a better spot and hopped out, and here they were bright, vivid green; snaking and dancing across the sky. The way they move is something I wish was easier to capture with words or on film, because it’s like they are a living creature, putting on a beautiful show for you. 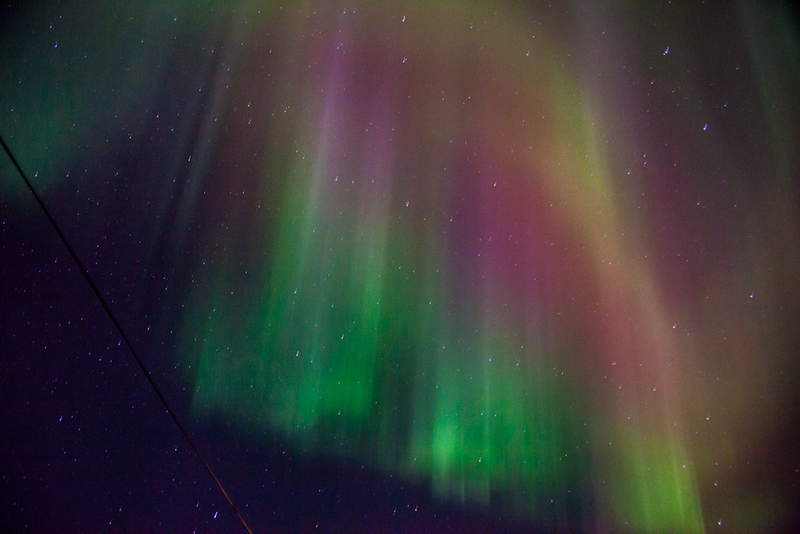 It’s so much faster than I imagined as well – sometimes the twists and turns would happen so quickly it was hard to keep up with and my 20 second camera exposure was too long since the aurora had moved so much in that time. 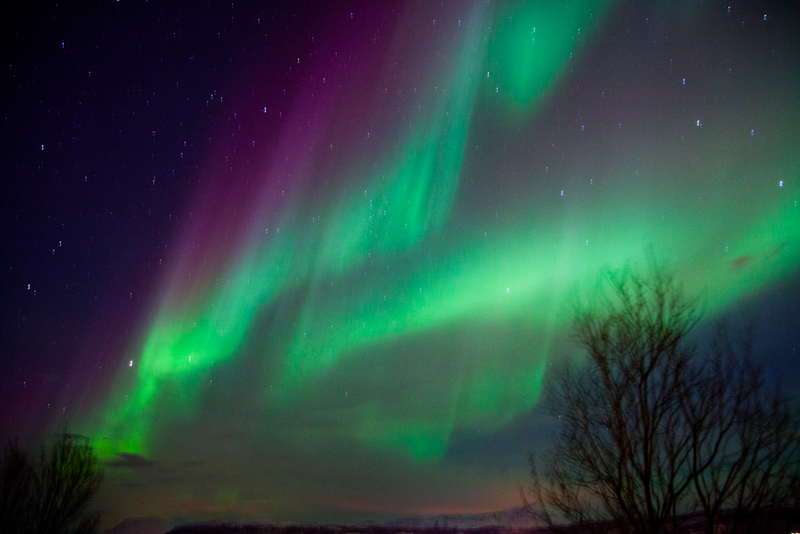 Then new little auroras would pop up in a different part of the sky, and we would have to divert our attentions again, missing the rest of the show behind us. 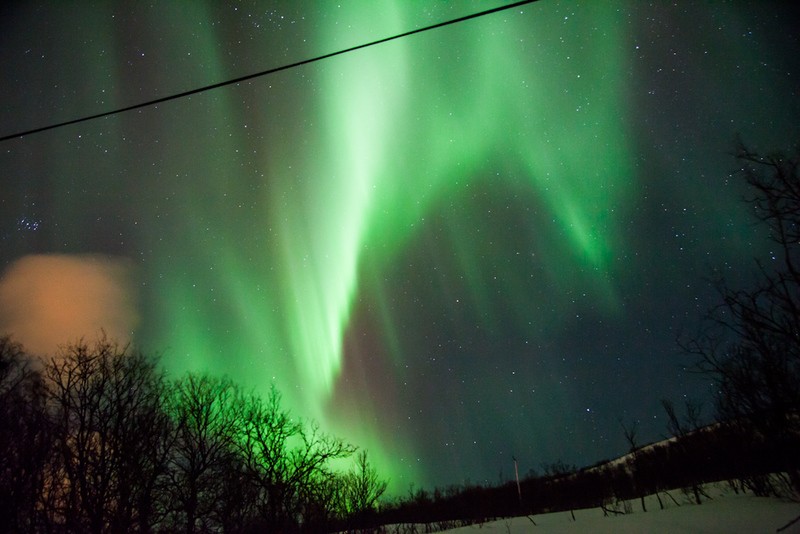 My host Trond who has lived in Northern Norway for most of his life said that even he was impressed by the show we got, and it was incredibly bright and unusually good. This made me quite happy. After getting lots of great shots we moved about 20 minutes across the island to a higher elevation in between a few nice little mountains. It was a much more scenic area, but the lights weren’t nearly as bright. It seems their show was almost over. I got about 10 more minutes worth of 20 and 30 second exposure shots, and then the lights died down and we journeyed home. 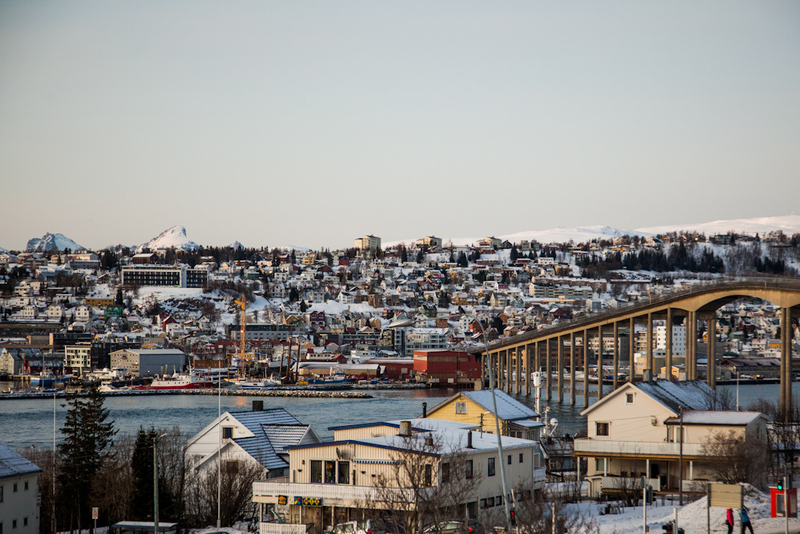 First we stopped at a place in downtown Tromso called Driv for some hot chocolate and shared our experience with a few locals. 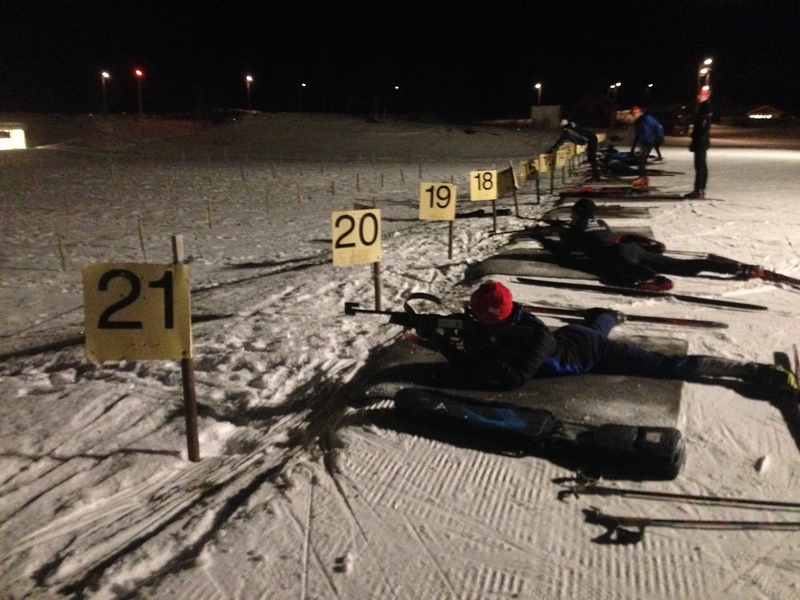 The cross-country park also had a “biathlon” ski-shooting range, where a bunch of teenagers in a biathlon club were shooting out targets down a range laying down in the snow and then getting up (on skis) and then doing a lap before shooting again. I had absolutely no idea this was a sport, and it was highly entertaining to watch.